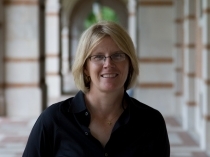 My name is Melissa Kean and I’m the Centennial Historian at Rice University. This is one of the greatest jobs in the world. I’ve been working in the University Archives at the Woodson Research Center in Fondren Library for over twenty years. I never get tired of it–at least once a week I find something amazing. The best (and almost only) way to reach me is my email: kean@rice.edu. You can also find me by physical mail: Woodson Research Center, Fondren Library – MS 44, Rice University, PO Box 1892, Houston, TX 77251-1892. In all honesty, the phone probably isn’t a great idea. Your article in the Chronicle was wonderful – celebrating the 100 years of the start of Lovett Hall. I do wish you had included the name of the young architect who arrived in Houston with the plans for Lovett Hall under his arm – 26 year old William Ward Watkin! He was a new addition to the Ralph Adams Cram firm and was given the gargantuan duty of building this magnificent building on the muddy plains on South Main St.! Stephen Fox and John Boles certainly have plenty of details of this endeavor. Mr. Watkin became Dean of Architecture at Rice. He worked with the landscapers to plant all those beautiful oak trees that now adorn the campus! I do have a personal interest, as I am the personal assistant to his daughter, Annie Ray Watkin Strange. She is 95 and is bedridden. We were hoping to have her with us to celebrate the Centennial next year, but will just take it day by day. Melissa, I just found your blog about Wilson Tarry Betts. He was my grandfather’s brother! My mom, Eugenia Betts Miller ( here in Austin) could tell you many amazing stories about Wilson. ,Frank, and Floyd Betts. Thank you for your article!! Kathryn Betts Miller Anderson. Dear Kathryn – I grew in Temple, TX at the VA Hospital in the 50’s. Dr. Floyd Betts was a member of our little community. He later moved his family to Tyler, TX. Could this be the same person? He was a wonderful man whose time enriched my adolescent years. Daniel, I am only now seeing is! I apologize! I would love to visit! Daniel, another relative here (the Betts brothers were my great uncles)… Floyd Betts, Jr. was the nephew of Wilson T. Betts (whom we called Uncle Billy). He spent his career in Tyler. Kathryn, Wilson T. Betts was my great uncle. His wife Stella was my grandmother’s sister. Interestingly enough, their maiden name was Wilson! Stuart, I am only now seeing this! Sorry! I would love to visit ! Stuart, Kathryn’s cousin here – nice to meet you, we love Aunt Stella. Small world! I just saw your blog about Professor Wilson’s atom smasher. When I got to Rice in the fall of 1949 as a freshman the Van de Graaf generator was indeed in a building behind the Physics Amphitheater, but the building (referred to as the “shack”) was considerably larger than the one in your blog photos. However I was too shy to ask for permission to enter it. And it was only a couple of years later that plans for the new nuclear lab were made. I began graduate school in the fall of 1953 and our small group of about 8 “nuclear” majors was the first to use the newly completed lab across the street, later to be named the Bonner Laboratory. By then you didn’t have to build your own Van de Graaf generator as Wilson had because Robert Van de Graaf of MIT had started the Van de Graaf corporation, from which Rice purchased the one in the new lab. I would be very interested in any photos taken inside the Bonner Lab you may find, as most of us in those days did not have a camera. Thanks for your great history blog. End of Semester = Sand and Sun. I cannot identify the participants but I did recognize the Beer nearby. Pappy Hartsook would be proud that Grand Prize was included. Melissa visited us at St. Paul’s Methodist and left us wanting to hear much much more!!! Thanks, Melissa, for reminding all of us Rice alum of the unique gift we have received because of the vision and efforts of so many! Dear Melissa, I have sent an email to kean@rice.edu. It was about interview request. Kindly check it, if you don’t mind. The Bonkers picture was sometime between 1974 and 1978. I would guess 1976. I’m wearing the t-shirt and am standing with other members of the Rice VB team. We had a great time! Go Owls!